Heel pain is sometimes associated directly with plantar fasciitis, an inflammation of the plantar fascia at the bottom of the foot. Plantar fasciitis is the most common cause of heel pain. 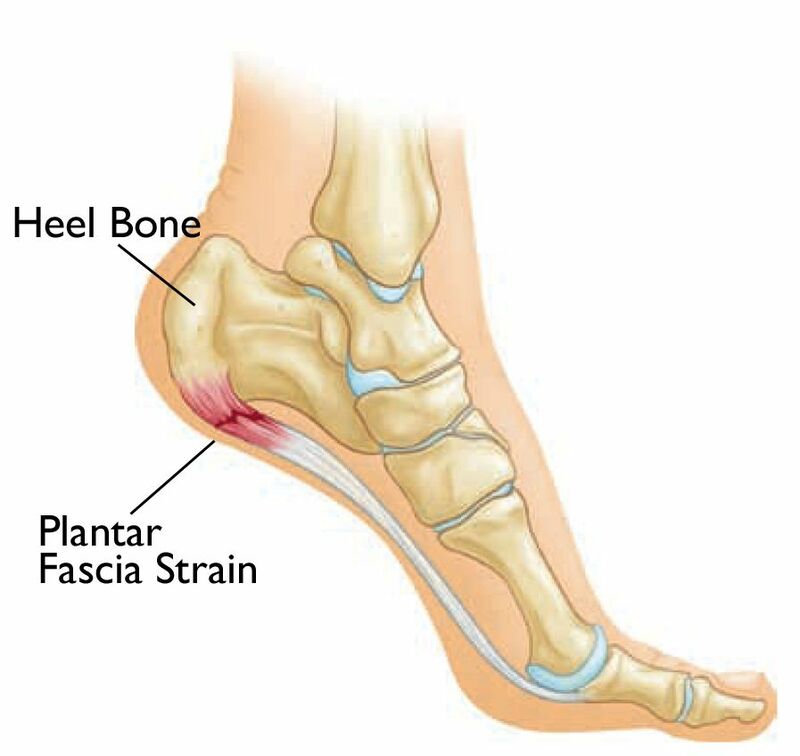 It is caused by repeated strain on the plantar fascia, the ligament that connects the heel bone to the toes, supporting the arch of the foot. A strained plantar fascia causes weakness, swelling, and inflammation, especially in one or both heels. Causes of plantar fasciitis include rolling the feet inward while walking; having high arches or flat feet; and running, walking, or standing for along periods of time. Symptoms include pain upon waking and pain while walking and climbing stairs. About 90 percent of people who suffer from plantar fasciitis recover with conservative treatments in just a few months. Anti-inflammatory drugs will be able to reduce pain and inflammation, although they do not treat the underlying problem. Anti-inflammatory injection will help to reduce the inflamamtion of the soft tissue. Shockwave therapy is one of of the form of treatment that is available for this condition. Cure your Plantar Fasciitis today. Cure Heel Pain fast and effective. Call (65) 6471 2744 or Email to info@boneclinic.com.sg for an Appointment.